1. Attract the attention of RVT.com site visitors. 2. 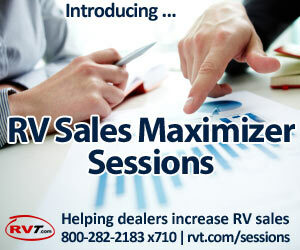 Engage the interest of RV shoppers so that they stop to read your banner ad. 3. Employ an effective call to action that impels RV shoppers to click on your banner ad. 1. Attract attention. Because online banner ads are visual, creation of banner ads must focus on the 6 elements proven to attract the human eye: color, size, shape, motion, position and text. Color is the most powerful attractant; text, the least. Investing advertising dollars in color, ad size and ad shape will provide the greatest return on investment. 2. Engage interest. Interest is a factor of need. 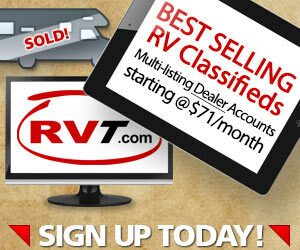 Online banner ads that appear to meet the needs or desires of RV shoppers will engage their interest. Tap into the emotional reasons for buying an RV: lifestyle, freedom, family values, inexpensive travel, and time in the outdoors. 3. Call to action. Tell RV shoppers what you want them to do: click on your ad. 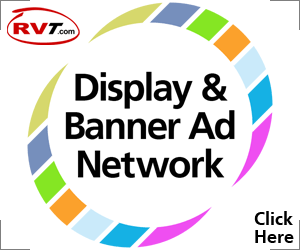 Click here to find out more about online banner ads on RVT.com.